I had the idea this morning to do a Westeros, from Game of Thrones - but I don't have CAW as I have a mac. 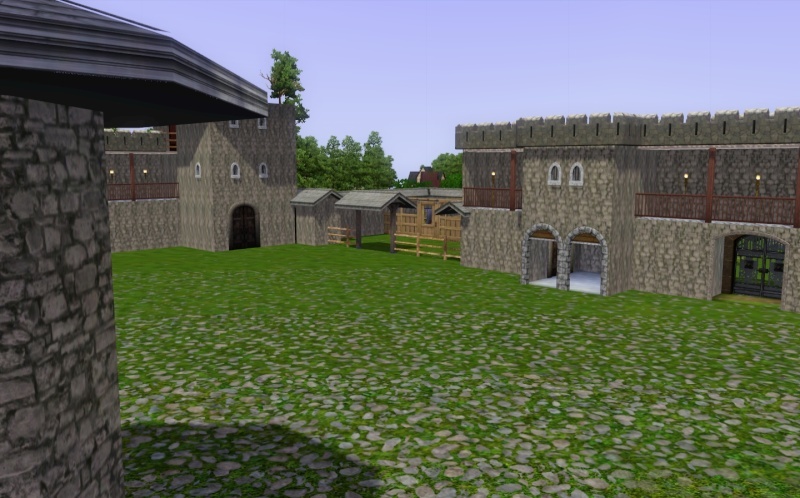 I've started Winterfell, and I'm using Auntylynds Castle Keep Populated as a base at the moment, but I thought perhaps someone might like to join me and make the world and/or some lots? 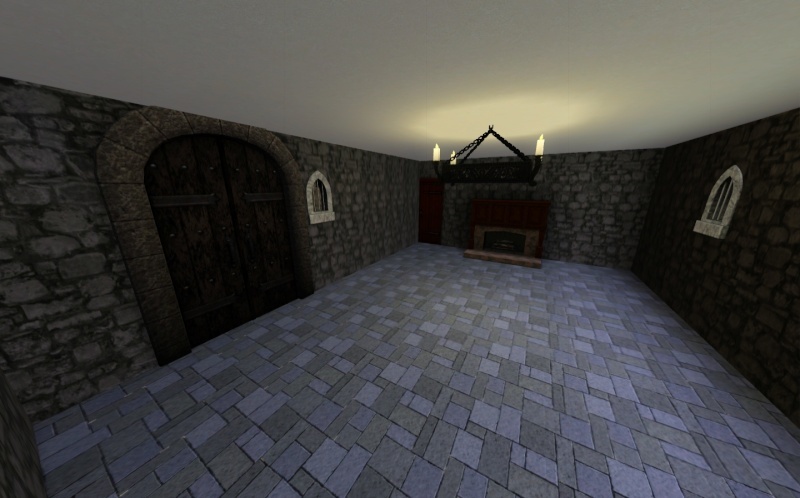 Castle Keep is a great place to start. Hope you can find some help. I am at a disadvantage for several reasons. Know nothing about Game of Thorns Thrones. Yup *Gasp* Have not read the books or seen the show. Not for any particular reason. Just because. 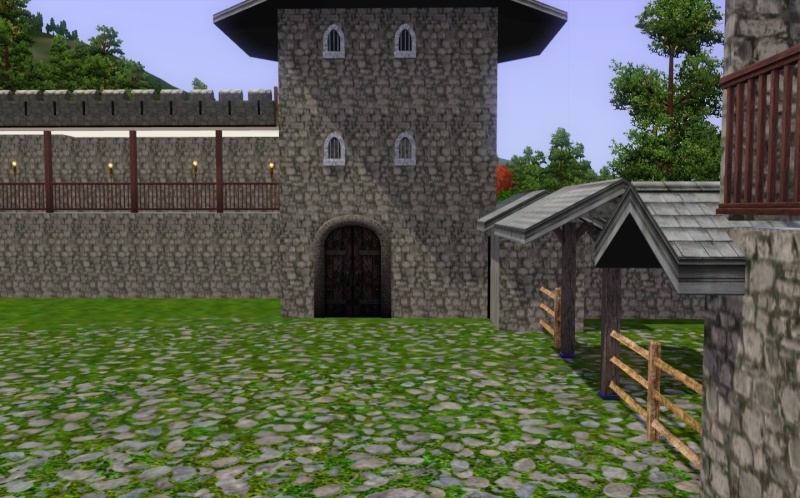 Ok, well here's what WIP I did today - I have Winterfell built, I just have to furnish it. 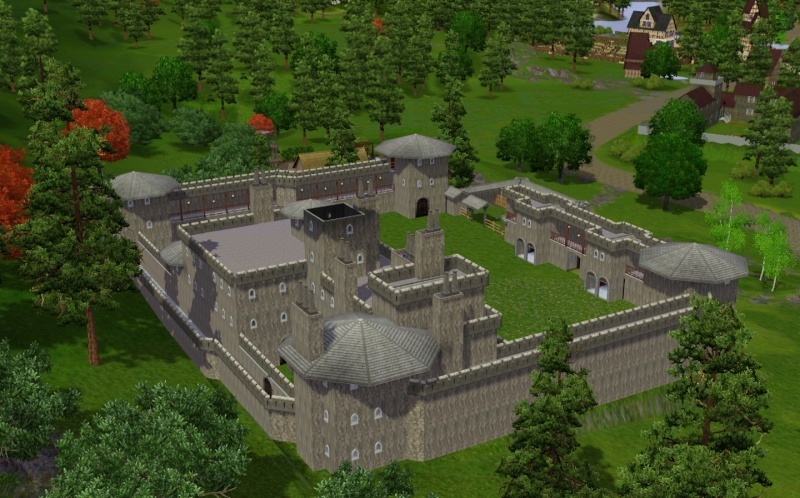 I've just tested it out with mine and my hubby's simself's, and I've ironed out the creases, just forgotten doors, and had to adjust some of the ramparts to make them accessible due to funny angles and castellations getting in the way. But, so far, so good. What do you think? Looks great, but like EQ, I'm not familiar with Game of Thrones. I love the Ice and Fire series, I've read all of them. I watched the HBO series, but cable became just too expensive, so I won't see this season for a while. Nice job on Winterfell. There is a Westeros world in a blog somewhere. I downloaded it, but I didn't like it much once I opened it. I'm trying to remember why though, I think it was too sunny and flat. It would be tough to create Westeros, it would take a really high level of skill in CAW. 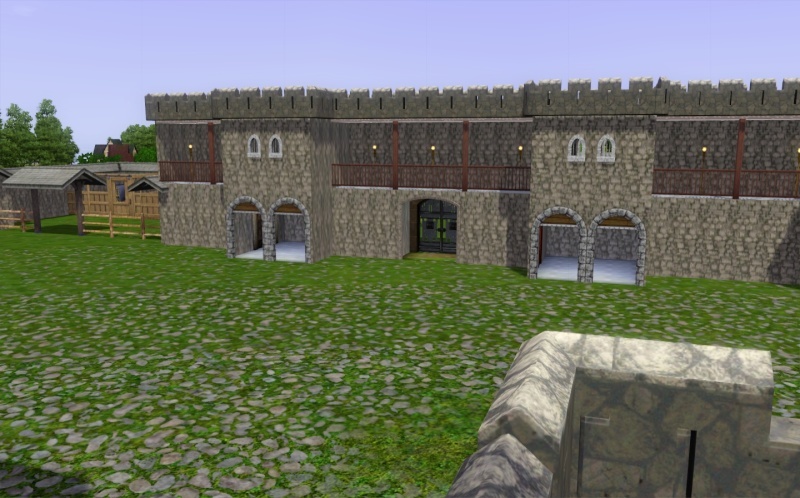 Castle Keep has some features that might work, and it is a wonderful medieval world. I did create Daenarys and Kal Drogo sims, but I don't remember if I uploaded them or not. I'd be willing to help create sims (when I have time), but a big project like this needs a dedicated group of people. Aww, we get it for a paltry £5 a month, as we subscribe to Sky Tv's 'Now TV' which allows you to live stream certain satellite channels, of which Sky Atlantic (the channel that GoT shows on over here) is one! And they show it at exactly the same time as America, although 2pm is a bit too late for me to stay up these days, so we watch the repeat at 9pm on Mondays instead! I'm just furnishing and decorating it now, so will post some more pictures up when it's done. I think you're right about it needing a team of people - with all the will in the world, I don't think I'd have the patience to sit and do them all. I have plots marked out for Casterly Rock (although, of course, we don't know what it looks like yet, unless it's in the later books? ), Kings Landing, (THAT's going to be a tough one! ), The Wall, High Garden, a plot for Daenerys and her army, although that will probably just be some kind of camp, unless I do one of the slave-city castles?, The Eyrie, Pike Castle, and Dragonstone. I know I haven't included the Dornish, but I don't know much about them yet as they've only just appeared, and I've only read up to where we are in the tv series. Who else am I forgetting other than Littlefinger and Harrenhall? This will be fun to watch. Like a few others I have not seen it yet. I think it is way down somewhere on my Netflix list. Good luck and have fun with it. I won't spoil it for you, but there's a lot more. Don't forget The Wall and it's accompanying fortresses, and the other side of the wall. I think that's all in the series so far. You should read the books all the way through. I'm glad I knew what was likely to happen in the series and form my own mental images first. It would be like creating Middle Earth. It is an expansive world that would be hard to compress into a Sims 3 map. From the 100 foot ice wall in the north, to the far south where Danaerys is wandering in search of a way back to her throne, the cities, rivers, lakes, there is a huge range of climate and terrain. It also, like Middle Earth, has a huge fan base of people with strong opinions on how the world should look. Maybe just pick a favorite section and do that. Instead of trying to do a whole country, do a special village. EA did SV, Riverview, Twinbrook, etc. as individual worlds. Who knows how close they are supposed to be to one another? With Nraas Traveler sims can move between worlds easily. 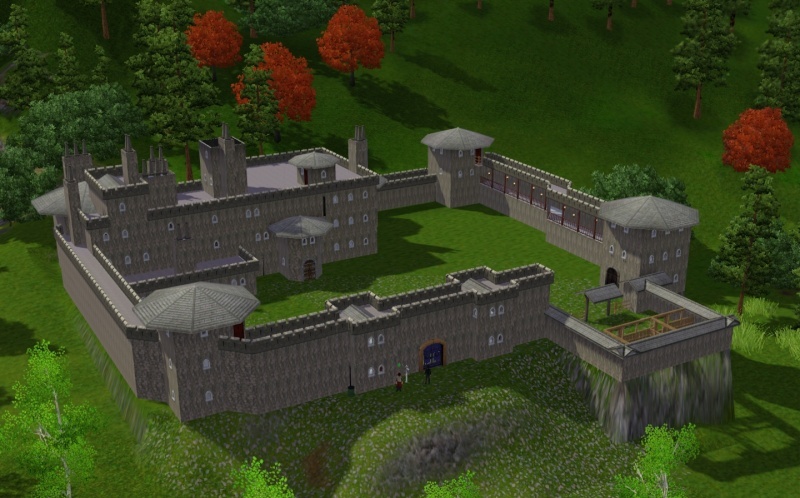 Maybe do several favorite places one by one and sims can visit them as wanted, rather than trying to put everything in one world, which is impossible. This is just my opinion, but when we try to do huge worlds they often do not get done. At least that is true for me. If I do medium or small ones the odds are much greater that I will actually finish them. That's probably the best approach, to make different towns of Winterfell/The Wall and other sections. 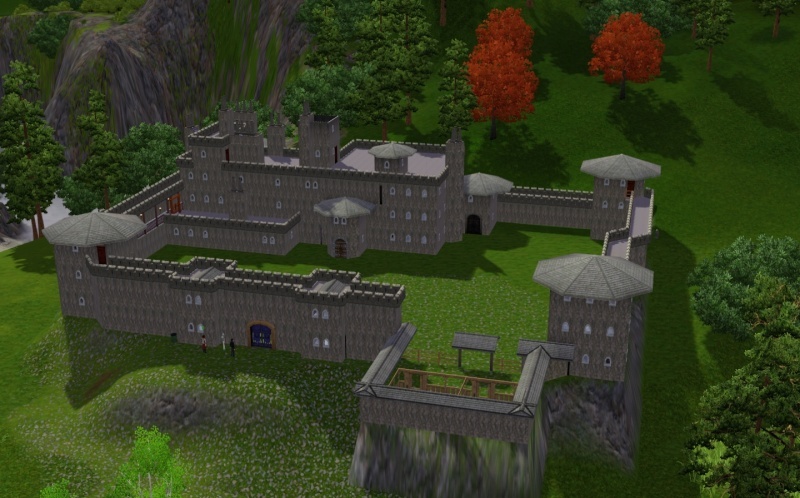 I did Middle Earth that way back in Sims 2 under another user name. It still would take a lot of skill and dedication from a group of people. Making different worlds to travel between is actually a great idea. Then one of them should be like the base or what? Maybe do something with mini tombs or whatever, where you get a key in one world that you will need to use in the next one. Make it a sequence. I have thought of doing a world with tombs in a sequence.